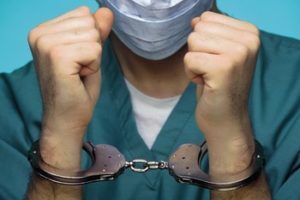 If you or your loved one have suffered at the hands of an incompetent doctor or were not treated properly by a hospital, let an experienced Marietta, GA Medical Malpractice Attorney help you in your time of need. Attorney Dean Phillips knows how to evaluate your circumstances and has access to a prominent critical care medical doctor who frequently collaborates with Dean in assessing malpractice cases. Medical malpractice is more than just a physician being careless. Malpractice can also occur when nurses don’t follow established safety protocols, when a pharmacist fills a prescription with the wrong medication, or when a lab technician mislabels tests. Any person involved in your treatment must meet medical standards of care, which are determined by other people in the same specialty or career field and have similar training. Would they have treated you the same way? Was your physician reasonable in his or her approach in your care? Martin Makary, M.D., M.P.H., is a professor of surgery at the Johns Hopkins University School of Medicine and an advocate for more accurate statistical analysis in the Center for Disease Control’s (CDC) report on causes of death. A study produced by his team suggests that medical malpractice is the third leading cause of death in the United States, killing about 150,000 people a year. The researchers also mention that the majority of mistakes are not the result of bad doctors, but that errors often stem from “systemic problems,” which include a lack of coordinated care, insurance network issues, and lack or underuse of safety protocols. If a doctor agrees to treat you and accepted payment for services, then the relationship has been established. This relationship extends to those who work for your doctor, too. Negligent treatment can be determined by examining medical records, verifying prescriptions, collecting lab work, and talking with friends and family who may have been present or involved in your care. Negligence is usually corroborated by experts in the same field as your physician so that they can determine if he or she met the appropriate standard of care. Injury can be reflected in medical records, lab tests, and radiology reports, and sometimes it can be visible such as an incorrectly-amputated leg. If you have suffered in some way from this injury, then you could be compensated. You may have had to endure more procedures to correct a botched surgery, pay additional costs, suffer physically or emotionally from the injury, and may not be able to work. Why Should You Seek the Advice of a Medical Malpractice Attorney? Medical malpractice lawsuits have statutes of limitations that may vary depending on particular situations. Your Marietta, GA Wrongful Death Attorney knows when he must file your claim based on the law and will explain what you can expect about your case. Attorney Dean Phillips will collect evidence such as medical records, billing, prescriptions lists and their costs, and radiology reports. He will gather witness information from you and your loved ones. A prominent pulmonologist will examine the evidence with Dean to determine if the doctor or medical facility met the appropriate standards of care. More importantly, Attorney Dean Phillips will negotiate the aspects of your claim on your behalf so that you can handle the more immediate demands of your family. He will be your voice of reason during your time of distress.